Have you ever noticed the incredible range of movements your body performs each day simply completing housework and chores? From sweeping up dust, to scouring away dirt, to stretching for that cleaning item in the top cupboard, these basic movements can actually be tweaked to become a powerful form of exercise. Read on to discover how you can turn your average, everyday chores into a fitness bootcamp! Lugging those bags of shopping from the car to the kitchen can be a form of exercise in itself, but we have a sneaky way of making it even more challenging! 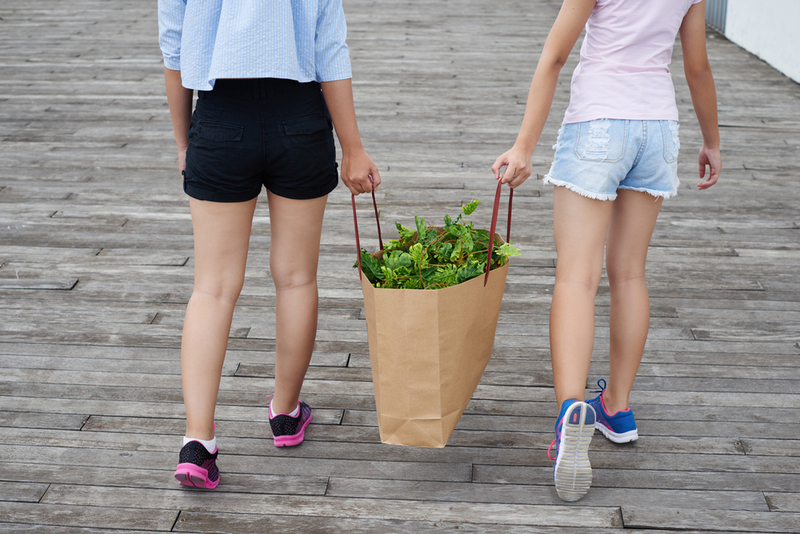 Grab a bag of groceries in each hand, and rather than walking it inside the house, we recommend lunging it in! Simply take a big step out in front of you, bending your back knee, then repeat on the other side. We guarantee these lunge steps will have you working up a sweat in a matter of minutes. Folding the washing can be a bit of a static chore, as we either stand or sit, simply using our arms to do the work. Why not get your lower half involved by incorporating some squatting into organising your clothes? Stand with your feet just over shoulder width apart, and for every fold of clothing you complete, take a seat back into a small squat. You’ll be working your arms and legs, as well as your core for an overall exercise experience! Weeding the garden can be fantastic exercise for your legs as you bob up and down. But why not amp it up with some added cardio for a super-powered workout? Speed your gardening up by pulling out weeds as quickly as possible, and sprinting your handfuls over to a pile positioned 5-10 metres away from you. We’re sure you’ll feel that heart rate climb. 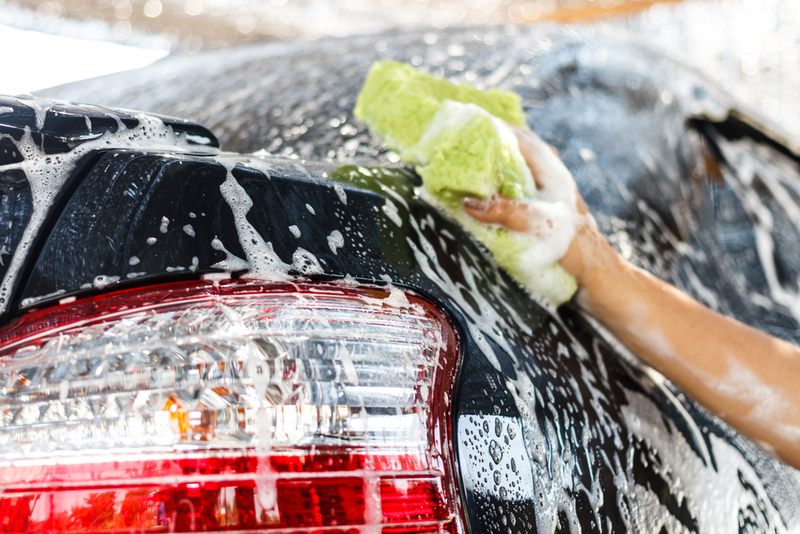 Is washing the car a weekly chore in your household? We challenge you to step it up and add some core strengthening exercise into the mix! Rather than washing the car with a sponge in one hand, simply hold the sponge with both hands. The constant reaching and twisting will be a brilliant workout for your middle. Vacuuming the house is a necessity, so why not use this time spent cleaning to exercise your lower half? Rather than walking around the house as you vacuum, we recommend doing high knee steps—this simple movement will tone your thighs and bottom, as well as strengthen your core. We’d love to hear about your experience powering up your everyday chores! Which job is your favourite to tweak into a form of exercise?